North Kimberley Diamond Project. Photo by Lithoquest Diamonds. Lithoquest Diamonds (TSX-V: LDI) could not be happier for having just recovered one grey and two yellow micro-diamonds from the +0.1 mm to -0.3 mm size fraction at its North Kimberley Diamond Project, located in the northern region of Western Australia. The gems were unearthed at target 0702 in the 1,000-square-kilometre property and recovered from a 10.06-kilogram rock sample submitted for kimberlite indicator mineral analysis. “The recovery of micro-diamonds is extraordinary given that the primary objective of the laboratory process was to extract kimberlite indicator minerals, not diamonds,” said Bruce Counts, President and CEO of Lithoquest, in a press release. 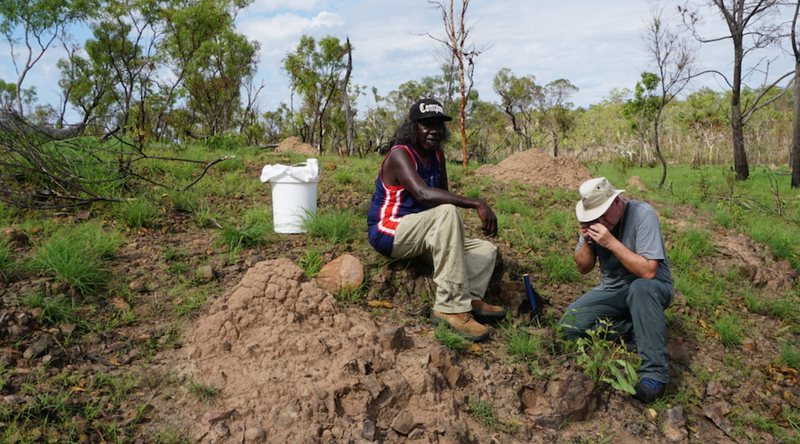 “This confirms that rocks present at target 0702 are diamond bearing and reinforces the prospective nature of the North Kimberley Diamond Project. We look forward to the commencement of the 2018 field program that will include drilling to collect samples specifically for micro-diamond testing,” he added. In detail, the sample that yielded the diamonds was collected in December 2017 from a highly-weathered outcrop of suspected kimberlite. It was included in a group of six samples (two from anomaly 1605 and four from anomaly 0702) submitted for indicator mineral testing. However, no kimberlite indicator minerals or micro-diamonds were obtained from the other five samples submitted.